This collection features 33 pieces revised and edited by noted piano pedagogue Maxwell Eckstein for upper intermediate level. The pieces in this collection have been chosen for use in recital programs and highlight technique, agility and flexibility. This volume features works by many of the masters of composition including Beethoven (Adagio), Chopin (Noturne), Bach (Prelude and Fugue), Grieg (The Butterfly), and many others. Perfect for the serious intermediate student in search of challenging repertoire! This title has selections that range in difficulty from SMP Level 6-8. Excellent practice of some of the most beautiful classics for piano. A Best Buy!!! 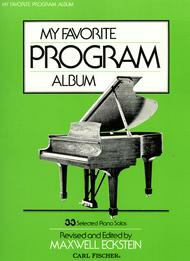 I had this program album since I was 12.I was thrilled to see it is still in print. I love the selections in it and am renewing old favorites. 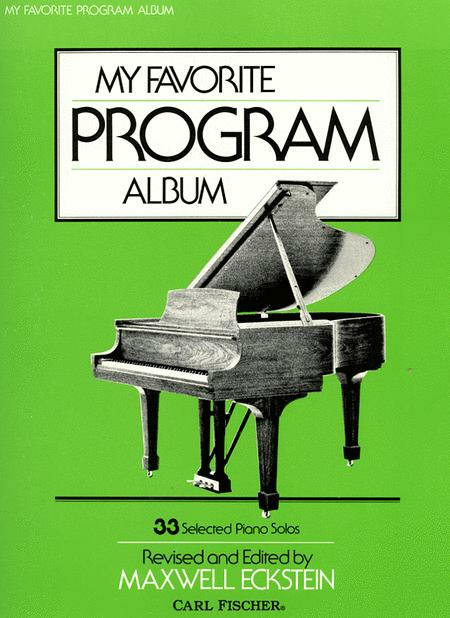 put out similar books through Alfred under the title "Essential Piano Repertoire" that are MUCH better as far as the editing is concerned. I would recommend purchasing one of those over this volume. 39 of 79 people found this review helpful.